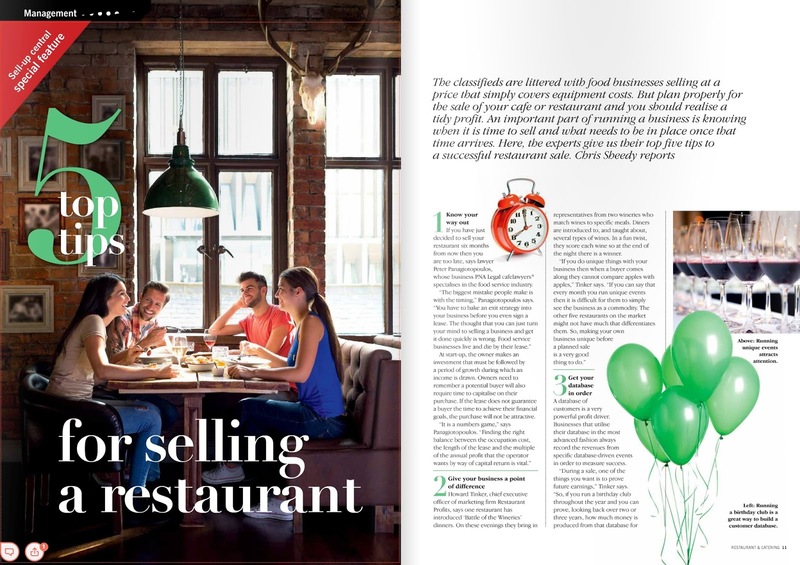 "5 top tips for selling a restaurant"
The classifieds are littered with food businesses selling at a price that simply covers equipment costs. 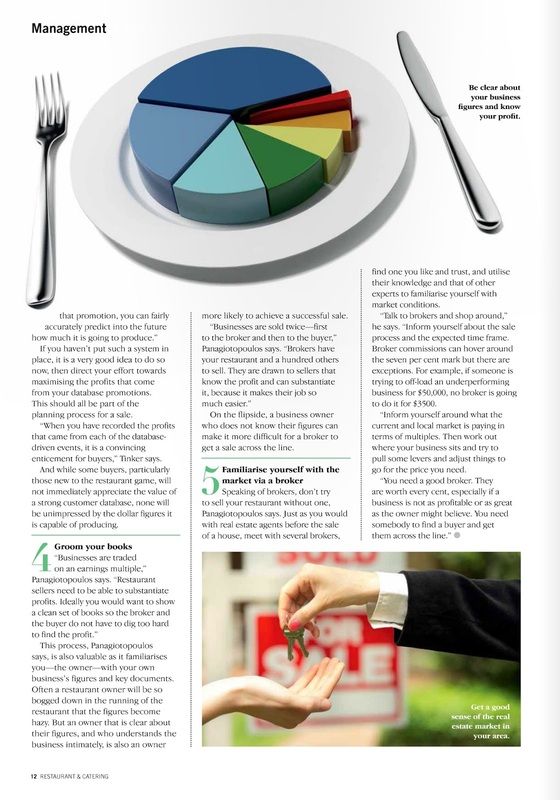 But plan properly for the sale of your cafe or restaurant and you should realise a tidy profit. An important part of running a business is knowing when it is time to sell and what needs to be in place once that time arrives. Here, the experts give us their top five tips to a successful restaurant sale. Chris Sheedy reports.